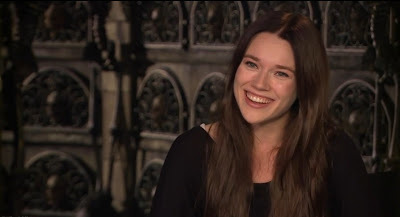 Trailer Addict has exclusive interview with Jemima West talking about Isabelle Lightwood from The Mortal Instruments. 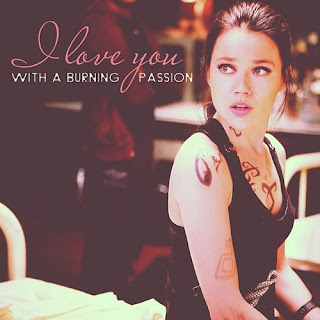 [Isabelle Lightwood] is actually very, very generious with the people she loves and I become really fond of her ... I believe she is a character that a lot of people can relate to. The Mortal Instruments was featured in Entertainment Weekly's Summer Preview Issue. 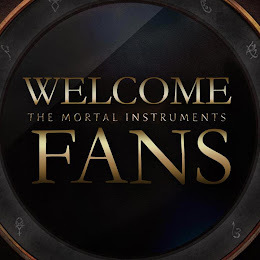 The Mortal Instrument's facebook page posted the full HD photo. Read the full article Martin Moszkowicz posted on facebook here. 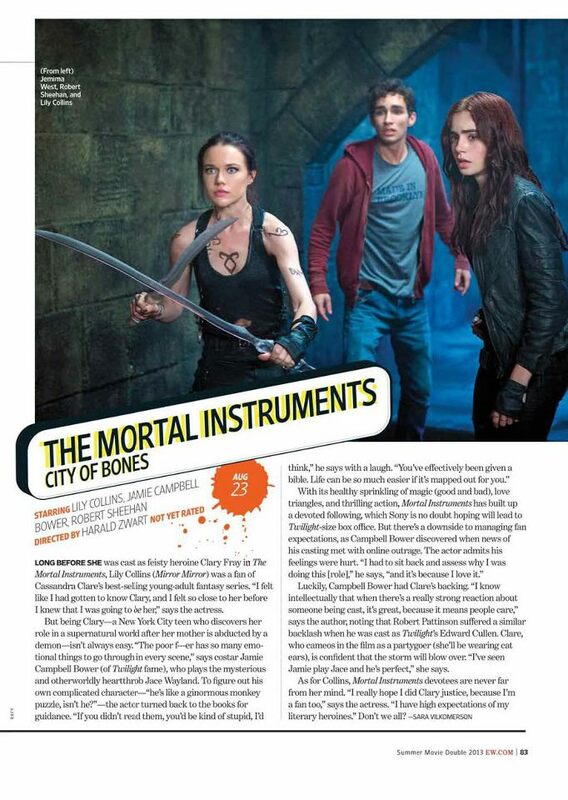 The Mortal Instruments: City of Bones is featured in Entertainment Weekly's Summer Preview Issue. More details here. 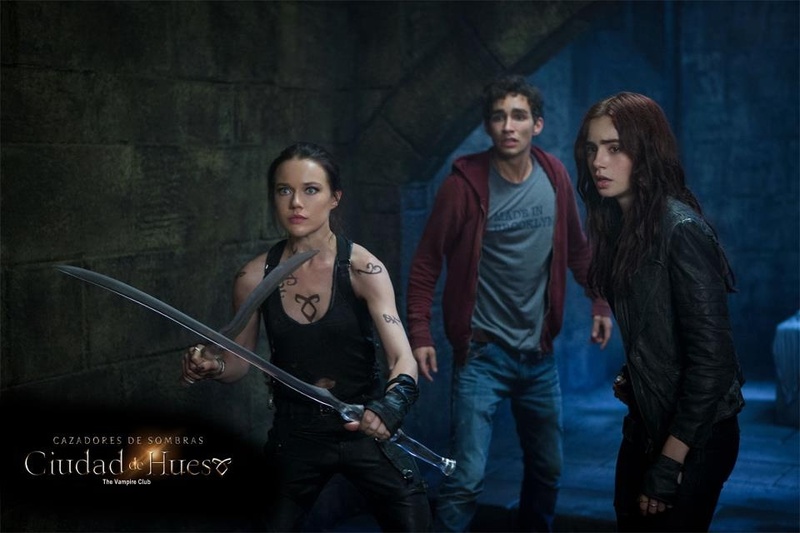 Which one do you like more; Simon or Isabelle? 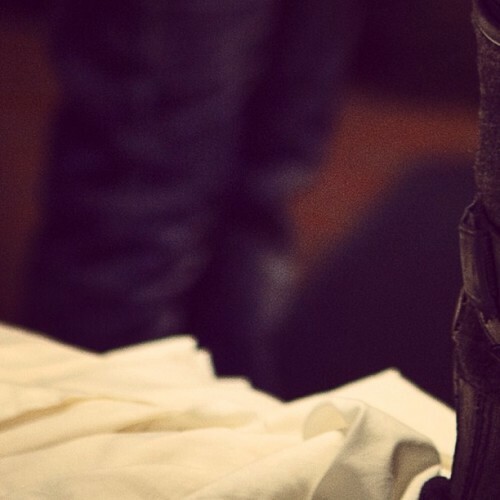 The 2nd Character Image released for #ShareMortalLove is Isabelle! Is the anticipation getting stronger? I might be burning up. Who am I? I have a burning passion. Who am I? Something around my neck senses when demons are near. Have you guessed who I am yet? Don’t you know? Hearts are breakable. Who am I? Jemima West's Photoshoot at the "Festival de Gérardmer 2013"
Jemima West playing Isabelle Lightwood, recently attended the "Festival de Gérardmer" 2013. The "Festival de Gérardmer" is an international film festival for horror and science fiction movies held in Gérardmer, France. Jemima West will playing Isabelle Lightwood in The Mortal Instruments: City of Bones movie. Pour la Cité des Ténèbres sautez à 3:09 dans le video. Interviewer: So about the Mortal Instruments? 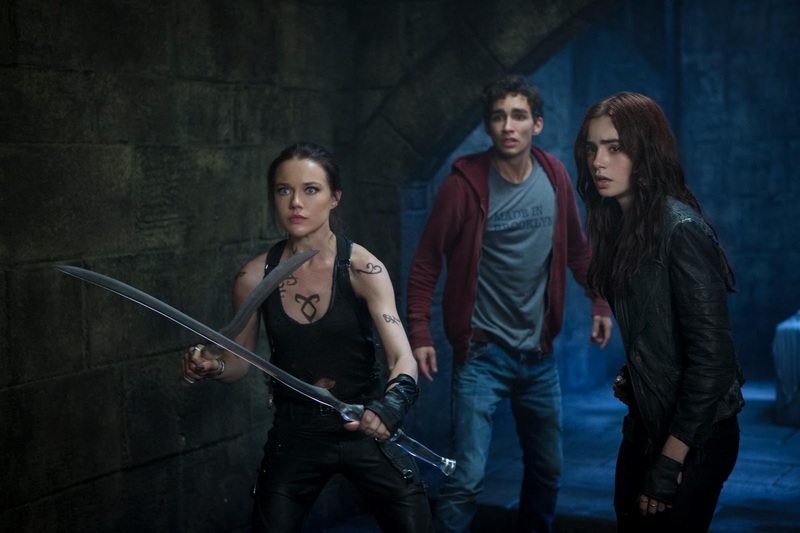 Jemima: Well, The Mortal Instruments, it’s an adaptation of a book by Cassandra Clare. It’s the first adaptation out of the five -or six. It’s interesting because it is based around the things that may or may not exist like angels, demons, vampires -it's all the things that I love. One moment, it’s here and then next it’s completely imaginary. Interviewer: Do you play the angel or the demon? … but I have brown hair with a full black costume. It’s not like the kind of angel you would imagine with all white.